The Varsity Batter Bowl from Mason Cash is made from chip resistant stoneware. The Varsity collection gets its inspiration from British university towns and adds a hint of sophistication and style to any kitchen. 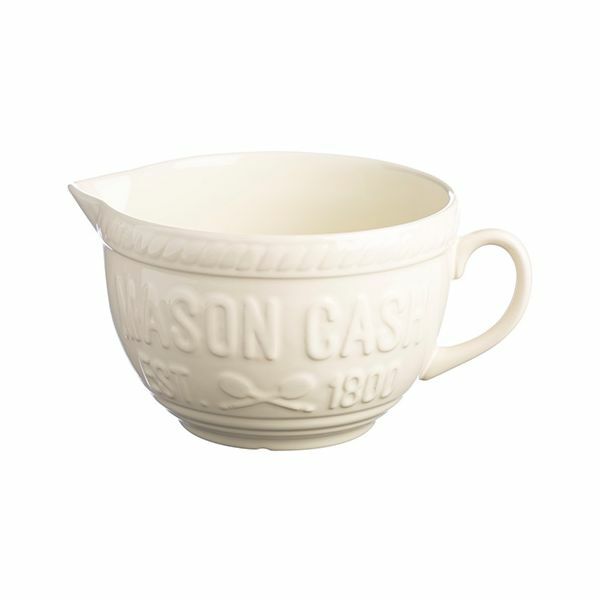 This batter bowl features a large poring spout, handle and embossed Varsity logo on the side. Dimensions: L 250mm x 190mm x H 125mm.